As many wine connoisseurs can clearly tell you, there is a vast amount of difference in the origin of a wine, be it from Southern France or Northern Italy, the specific region where the product is produced lends itself to create a nuanced flavor profile only achievable from that particular region. While this writer has no knowledge of such differences (he distinguishes his wines based on color), they illustrate a very important aspect of protection for some products and their geographical origins. Be it Feta cheese, Parmigiano Reggiano, or Scotch whisky, where the products come from is often as important, or at times more important, than the quality of the product, giving each item its 'signature' taste and feel. With this specific taste and feel (at least prima facie) comes a need for protection, lest we allow for the production and sale of Parma ham produced all over the world, clearly therefore not being from Parma at all, potentially deceiving the public as to its origins. That said, does the geographical origin of a product confer a protectable right, and if so, how wide-reaching is the right? A decision seeking to answer this question was faced by the then-named House of Lords in the UK in the early part of the 21st century in Consorzio Del Prosciutto Di Parma v Asda Stores Limited and Others. The case concerned the packaging and sale of Parma ham, specifically by Asda (a large chain of UK supermarkets), which had been sliced and packaged in Wiltshere in the UK by Hygrade Foods Ltd. Although the ham had been produced in Parma and subsequently sent to Hygrade, the act of slicing and packaging the meat had occurred in the UK; something that went against the Italian law (accessible here in Italian) protecting Parma ham and its processing specifically, and the sale thereof. 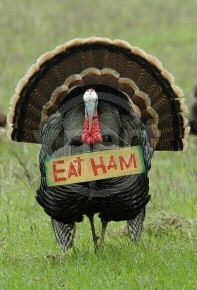 Upon identifying this the Parma Ham Association sued Asda and Hygrade for selling the ham. The law relied upon by the Association is European in origin, specifically European Council Regulation No. 2081/92. Under the Regulation the European Commission can register a name, upon the satisfaction of criteria set out in Article 4 of the Regulation, as a "protected designation of origin" or a "protected geographical indication", which, as explained by the court, are: "...[a] PDO is the name of a place used to describe a product, originating in that place, with characteristics that are due to its particular environment. A PGI is similar to a PDO except that the causal link between the place of origin and the quality of the product may be a matter of reputation rather than verifiable fact". Parma ham was registered as a PDO in 1996. After some deliberation by Lord Justices Hoffamn and Scott, the Lords could not answer the question posed to them as to the direct enforceability of the Regulation within Member States' domestic courts, and therefore referred the question to the European Court of Justice for further deliberation: "As a matter of Community law, does [the Regulation]... read with Commission Regulation (EC) No 1107/96 and the specification for the PDO Prosciutto di Parma create a valid Community right, directly enforceable in the court of a Member State, to restrain the retail sale as Parma ham of sliced and packaged ham derived from hams duly exported from Parma in compliance with the conditions of the PDO but which have not been thereafter sliced, packaged and labelled in accordance with the specification?" "[the Regulation]... must be interpreted as not precluding the use of a protected designation of origin from being subject to the condition that operations such as the slicing and packaging of the product take place in the region of production, where such a condition is laid down in the specification. Where the use of the protected designation of origin Prosciutto di Parma for ham marketed in slices is made subject to the condition that slicing and packaging operations be carried out in the region of production, this constitutes a measure having equivalent effect to a quantitative restriction on exports within the meaning of Article 29 EC, but may be regarded as justified, and hence compatible with that provision. However, the condition in question cannot be relied on against economic operators, as it was not brought to their attention by adequate publicity in Community legislation." All in all the Regulation does create an enforceable right through a PDO, but only if the stipulations within it as to specific packaging, slicing or other measures, have to be expressly stated within the registered PDO. Geographical indicators, therefore, act very similarly to trademarks, and do offer an route of enforcement ensuring the quality of the goods themselves within the European Union. Geographical indicators are also protected outside of the EU through a variety of agreements between the EU and other nations, with the addition of agreements between World Trade Organization members. They are by no means an answer to a lack of a trademark, but offer an avenue through which distinct origins (and quality) can be protected, especially when its derived from tradition and strict rules on the above.